Coldplay is wading into the waters of a new genre, and I'm not sure how I feel about it. It's a genre that was only touched on with the likes of singles like "A Sky Full Of stars," but Coldplay's latest single "Adventure Of A Lifetime" is straight up disco, coming from the band most famous for their rather emotional ballads about love, life, and loss. The song came as a promotion for their recently announced upcoming album, A Head Full Of Dreams, which is slated to be released on December 4, and it represents a true break from the norm from the band. And, honestly, that could be a good thing, because the upbeat, dance song not only makes you want to break out the platform shoes and start disco dancing up a storm, but it's also insanely catchy and thrilling fans all over the place. 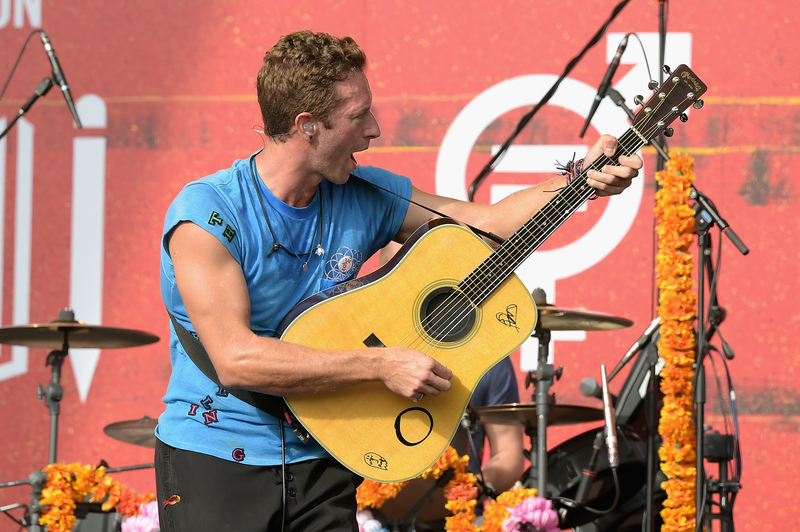 The past few months have been less about the music as far as the media is concerned and more about the movements of frontman Chris Martin, whether he was breaking up with Jennifer Lawrence (allegedly) or hanging out with ex-wife Gwyneth Paltrow. However, it's been an entire year since the release of Coldplay's last album, Ghost Stories, so it shouldn't be at all surprising that they would have been back in the studio and getting ready to thrill us with more ballads. Or, I suppose, more disco dance tracks? I'm not really sure what I'm listening to here, except it does have the trademarks you'd come to expect from a Coldplay song: haunting lyrics and Chris Martin's deep voice. It's closer to the songs on Mylo Xyloto than anything from their last album (anyone else getting "Princess Of China" vibes? ), and that's definitely enough to make people stand up and pay attention. Check out the song below, and decide for yourself if it's your new favorite or not.